If SIT claims that Gauri Lankesh was killed by reading Holy text of Sanatan, will they explain on which Holy texts Jihadi terrorism and Naxalism are based for killing lakhs of people ? 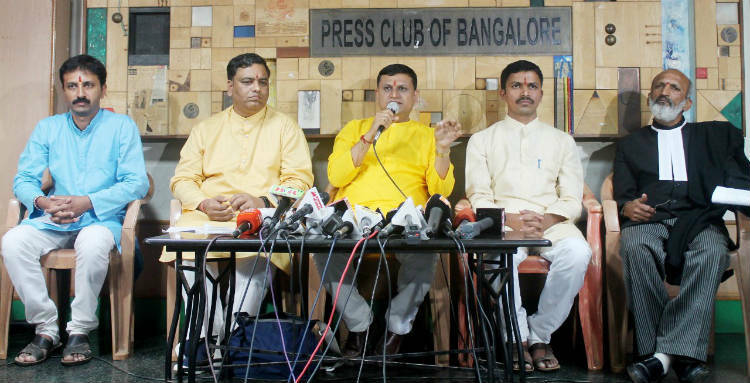 Bengaluru : The Special Investigation Team (SIT) Karnataka issued an extremely ridiculous press note about submitting additional chargesheet against 18 activists of various devout Hindu organisations. However, this chargesheet shows the efforts are being made to dig out the old issue of Hindu terrorism and conspiracy to start Malegaon-2 edition after Malegaon-1 has proved to be a total failure. 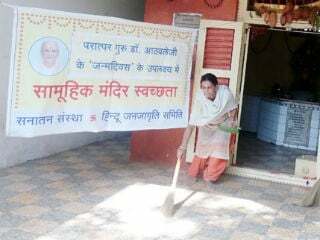 Although the activists who are arrested in this case belong to various organisations, efforts clearly appear overt to target Sanatan Sanstha which propagates Hindu Dharma. Similarly, this script appears to have been jointly written by Karnataka SIT and CBI in Maharashtra. 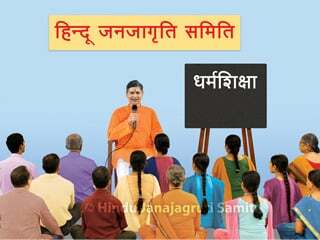 The common link in both the killing is the Holy text ‘Kshatradharma Sadhana’ published by Sanatan Sanstha. It is claimed that the arrested accused were inspired by this Holy text ! Will the CBI and Karnataka SIT, which are ridiculously claiming that Gauri Lankesh was killed by reading some Holy text of Sanatan Sanstha dare to explain which Holy texts are read by Jihadis, who are spreading terrorism in the entire world, before committing such horrendous crimes ? Will they also dare to name the Holy text read by the activists of Popular Front of India many of whom are involved in the killings of 23 devout Hindus which took place in Karnataka ? This question was raised by the Spokesperson of Sanatan Sanstha Shri. Chetan Rajhans. He was speaking in a press conference held at Bengaluru Press Club. On the occasion, the National Spokesperson of Hindu Janajagruti Samiti (HJS) Shri. Ramesh Shinde and Vice-President of Hindu Vidhidnya Parishad Adv. Amrutesh NP also addressed the press conference. Karnataka state spokesperson for HJS Shri. Mohan Gowda and Karnataka state co-ordinator for HJS Shri. Guruprasad Gowda were also present. Shri. Chetan Rajhans further said, “SIT displayed illegal behaviour by unlawfully arresting innocent devout Hindus, persecuting them inhumanely and denying them the judicial assistance. Similarly, a false information was spread that accused were in possession of a ‘Hitlist’. When nothing came out of it, one of the accused in the case, Parashuram Waghmore was lured with Rs. 25 lakhs if agreed to name Sanatan Sanstha. After this conspiracy also did not succeed, they are spreading the false information everywhere that the killing was committed after reading a Holy text of Sanatan Sanstha. 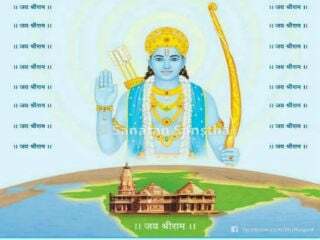 I would like to ask all Investigation Agencies – Sanatan Sanstha is publishing Holy texts since 1995. Thousands of copies of ‘Kshatradharma Sadhana’ were sold; in this situation, how many people killed how many individuals ? The Investigation Agencies should answer this question. On the occasion, National Spokesperson of Hindu Janajagruti Samiti Shri. Ramesh Shinde said, “Amol Kale, whom the investigation agency claims the main accused in Gauri Lankesh case, was not in contact with Samiti for the last 10 years. Even before these 10 years, he never held any post of an office-bearer of the Samiti. Similarly, when Dr, Virendrasinh Tawade did not participate in any of the activities of Samiti, he is named as Vice-president by the CBI in its chargesheet. 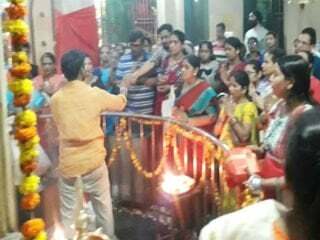 The posts of office-bearers which are not even the part of Samiti’s working are being created, and all are assumed to be activists of Samiti. This smacks of a conspiracy. Even when the members of the Abid Pasha gang (the gang of ruffians which had links with the Jihadi organization Popular Front of India – PFI) had been proved guilty of killing Hindu leaders with hard evidence were not slapped with KCOCA and were helped by the Police to get bail; whereas, the 16 Hindu activists arrested in the Gauri Lankesh murder case who do not have any criminal background have been slapped with KCOCA, which is applicable to ‘organised crimes’. This is extremely unfair and discriminatory. This clearly shows that the Karnataka Government is favouring the Jihadis and selectively subjecting the accused charged with the Gauri Lankesh killing to unfair treatment. 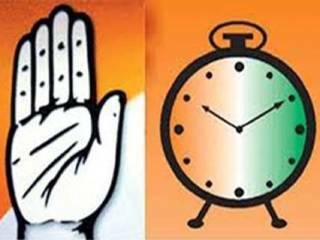 This a part of the Congress conspiracy to malign the Hindu organisations. Code of righteous conduct for rulers.